Pre-baby days, my fasts used to go for between 7 and 14 days. It helped me cast off my old chronically unwell self, gave me energy and charged up my lagging vital organs better than any medicine could do. I often only fast on the occasions that I find myself succumbing to sickness, or when I have a dreaded migraine. Most would say I live on a fast most days because I don’t eat regular food and live mostly on raw juice and superfoods. But I like the feeling of being hungry, of knowing my body is having a break. Personally, I just struggle with the knowledge that 25000 people die around the world every day of starvation, while in the west and other wealthy nations are killing themselves with gluttony. I don’t want to be part of that. Or take part in the little game that is killing our environment – 70% of our crops are fed to the billions of meat-animals that only feed 30% of the worlds’ people. How many members of this group actively fast? It was the first thing I learned when moving from orthodox medicine to alternatives. It is just about the best thing you can do for your health, especially if you are chronically unwell or overweight. Many churches do it for spiritual reasons – and it increases our spiritual strength in ways that you could not know until you try it. And then my brain screams – why undo all the good you body and soul has gone though, by feasting on rubbish to break the fast? If you are honest with yourself, once you have overcome the greed of gluttony, ask your body how it feels? Are you now filled up with fear and suffering hormones? Do your hands and feet hurt? Your joints? Your stomach? Headaches? Get in touch with your body as you get in touch with your spirit and you will begin to understand. So, what is the best way to fast? Dry fasting should be avoided at all cost – you are starving not only your blood, but your organs, (including brain) and cells. If you feel thirsty, your body is already dehydrated because a survival mechanism ensures our brains can survive long after the rest of the body is screaming out for life-giving water. No matter what your medical doctors or nutritionists say, you will most likely be able to not only survive, but thrive on a water or juice fast. The only issue will be your hunger and how addicted you are to that hunger. Believe it or not, there are supplements that can naturally get rid of that appetite – really good tonics and supplements which remove your appetite, making you feel as if you are full 24/7. Tonics that keep you alkaline will provide necessary nutrients (often more than the average diet provides anyway), so you will not be starving. Even diabetics can fast – slowly and with awareness – it just means that they no longer become slaves to insulin – by using colloidal minerals – order here – your body is doing things it usually does not, and your insulin needs will lessen with time. Diabetics are taught medically to eat gluten-laden, high carb snacks to ‘balance’ their blood sugar when in reality it is tricking the body to keep depending on that synthetic lifeline – you have carb peaks and lows just because you think you need to have that carb snack to keep your BSL UP! At the very least, nightly fasts are seriously beneficial – no food from 7pm to 7am, removing all non-alkaline food, and drinking alkaline water rather than carbohydrate-controlled diets which, along with pancreatic destroying ‘diet’ drinks, will free you from your fate. That’s right – ‘diet’ drinks and foods – those with nutrasweet – are killing your pancreas. Fasting is a bonus method of ridding the body of parasites – which not only rob us of life, but are linked to many, if not most, chronic illnesses – and more than a few acute ones. You should also be sure to take a clove/walnut/wormwood/coconut oil based anti-parasitic to not just flush them but destroy them, and never just think they will disappear because they are unwelcome. Some of the parasitic infestations I have seen in humans make movies like Alien look like Playschool – and age, intellect, cleanliness and even diet often make no difference. Flushing with increased water consumption and enemas will help speed the process up – the benefits to your health will astound you. I will not gross up this post any more than need be, but I urge you to google parasites, worms and other alien pathogens that can affect humans. Some have mutated DNA, others are the end result of botched up science. Sometimes removing parasites can remove abnormal appetites. Other times it can end chronic or even terminal ill health. And most definitely help in stubborn weight loss. And yes, parasites are mentioned numerous times in the Bible, plus anti-parasitic herbs are mentioned often. Anyway, who wants to join me in the fast? I recommend praying beforehand – for me, I can pray for freedom from hunger and addiction and snap! My appetite is gone until I actively make it return. Okay, so I have been at it for a long time, but I was only in my teens when I began fasting – just before I was 16. Preparation is important, so you don’t fall back. If you live alone or with ppl who want to support you, it is easier. For parents or people who are around food all day, it is a little harder but can be done. Some of my best fasts were done working in a fast food joint during college years. Drink a lot of water, and if you want, raw vegetable juice. Avoid acidic fruits – apart from citrus and berries because these are alkalising, and have many benefits otherwise. Coffee enemas are magic – truly. Many pharmacies no longer sell enema kits since our medical authorities decided they have no place in health care – I guess too many medications were being shown up. You can buy online, and some pharmacies still sell small saline enema bottles which can be washed and reused. Coffee’s benefits are often touted as an excuse for people to drink up. But the truth is, the benefits are usually only courtesy of topical or rectal application. It shocks the liver and forces the blood, kidneys, liver and bowel to release toxic build up that just can’t be reached any other way. Google Fleet Enema – washable and reusable. Bicarb is another magical aid. I take it daily regardless, but for those who have constipation problems (from what ppl tell me, it seems to be a normal thing today). A flat teaspoon in warm water – tastes gross but you actually get used to it as you alkalise. First thing in the morning and last thing at night. Get ready for a mighty clean out! 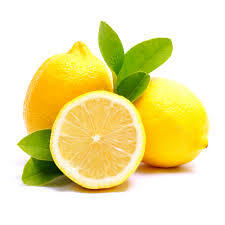 Sip lemon juice, warm or cold, all day, don’t let yourself get thirsty because with that, comes hunger. If you really struggle there are little known beneficial herbal combinations – a little guar gum mixed with slippery elm in half a cup of warm water – this puffs up and lines your stomach and intestines, making you feel full and removing irritations, especially of IBS. Herbal teas such as fennel and parsley, not only remove extra fluid but also make you feel full. Taking a clay drink every day – order here – will not only help detox but stave your appetite. Increasing the benefits like removing parasites (don’t be shy, we all have parasites and no, they are not necessarily beneficial – in fact, many are linked to weight issues, cancers and many other health issues we are told to take as part of life. A strong anti-parasitic is recommended as we ALL are affected negatively by unwanted parasites – order here …. Anyway, there is more on fasting further down in these articles. Expect a few things on your fast – first, hunger. That goes without saying because from birth, we have food shoved in our mouths as soon as we make a peep. And as we grow, we never give our bodies so much as a break of a few hours. Then, you will get a detox headache – especially if you drink a lot of coffee or coke. It is only temporary but I am not a sadist – if you need to take pain relief, take it – but try everything else first – a shower or bath, feverfew or white willowbark, peppermint oil on the temples, Microvita or Brauer pain cream – there are many non-drug options. It must be said, this post is NOT for people who suffer from anorexia. I do not recommend fasting purely for body image or emotional issues. Please see someone if you fall into this category. And if you have a chronic health issue that has resulted in dramatic weightloss, please also do not attempt it. For example, my daughter suffered for 3 years from chronic fatigue syndrome which almost claimed her life. Without any sound medical support and with almost constant criticism from family and friends, we had to muddle along until we found the answer. I would never have put her on a fast – in fact, her weight dropped to 39kgs and she ate more than any man I know. She just could not gain weight. It was only when she began eating alkaline food that she got to an impressive weight of 52kgs and no longer has either CFS or a weight issue. Of course, the CFS is never far away and she knows if she slips up, it is still snapping at her heels. But that is the same with any acidic or invisible condition. If you stay at it, you will notice that you will be sorely tested – any current or previous medical issues will raise their ugly heads – often quite severely. Don’t panic. All that is happening is that your body is removing the acidic buildup that caused them in the first place. I have seen terminal and chronic health issues just by a good fast. If you don’t give in, chances are that health issue will be long gone. True story. By day 3, if you have not weakened and hit hump day, it will be your worst. I find I reach it by day 2 these days, but that’s only because I only eat when hungry out of habit – I don’t stick to regular meal times anyway. By day 4, you really wont care for food – it becomes easier. Of course, there are exceptions – especially if you are so acidic that you are bed ridden with a chronic disorder. That is when you take herbs, homoeopathy, supplements, acupuncture, massage – anything to hurry up the healing. I personally like 21 day fasts but these are difficult unless under the watchful eye of experts at a health retreat with expert supervision. Or join forces with other likeminded friends and encourage each other through it. This is where it gets tricky because after this time you actually go into starvation mode and do not want food – ever again. 14 day fasts are very beneficial and often can kick start a major health change. 7 day fasts are also brilliant and if you end them by simply staying on a juice fast (raw juice, not bottled), you will only enhance the benefits. Most people will only fast for 2 or 3 days. These are nothing to be sneezed at – in fact, they are the best way to start a health kick. People who fast during the day and break it at night are doing little for their health. And breaking a fast with junk only injects massive amounts of rubbish into your blood, in increased concentrations. Science has proven lower calorie diets (no, not diet food – fresh and raw food) give you the best chance at health and longevity. After all, who wants to be old and frail, what is the point in that – which is all medicine is aiming for, the number stats. I’d rather die young than live to be old and chronically unwell. Google old people who live on rawfood diets – it’s astounding. And fasting is the best way to kick start it – or give your body a charge up. So, who’s with me? Previous Previous post: Does sugar form fat and disease? Next Next post: Should You Avoid Soy?